Leading Importer of glass wool from Mumbai. We are successfully ranked as the top importer & distributor of a broad assortment of Glass Wool. 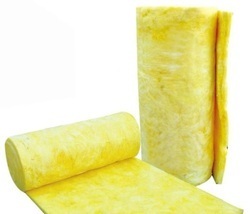 Our offered Glass wool is manufactured with precision using best grade raw material by our vendor’s experts. These Glass wools are used for thermal & acoustic insulation over false ceilings in various industries. The rock wools are inspected on several parameters for supplying a flawless range to customers.